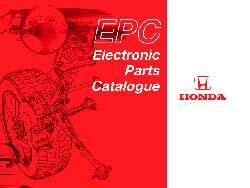 Honda EPC Europe electronic spare parts and original accessories catalogue, presented all models cars Honda, european market. It contains parts catalogue information for cars which were imported on the European market. Honda Europe EPC is designed to run on any Windows platform. To learn how to work and to get the most out of your EPC system, start the tutorial and follow the different steps in order to get a "feel" for the system. You will find it is a very handy and useful way to introduce yourself to and fully understand the system. Electronic spare parts catalogue Honda Features: search and decoding VIN, search by model, management of Job-list, flat-rates, price of spare parts.